Attention elephant lovers! Always dreamed of getting up close to these gentle giants? Now you can with this package that combines an incredible elephant interaction adventure in the Okavango Delta with ChobeNational Park, home to the largest concentration of elephants inAfrica. Could you imagine being guided though the Delta by a fully grown elephant? Sanctuary’s new Heart of the Elephant package includes two nights at Sanctuary Stanley’s Camp in the Okavango Delta where guests have the unique opportunity to experience the surrounding scenery though the eyes of three semi-habituated elephants – Jabu, Thembi and Marula. Spend the next three nights at Sanctuary Chobe Chilwero which bordersChobeNational Park, famous for being home to the largest remaining population of elephants in the world. This high season package includes the elephant interaction activity at a low season rate. Valid for new bookings made from 1 June 2011. Valid for travel 1 June – 31 December 2011. 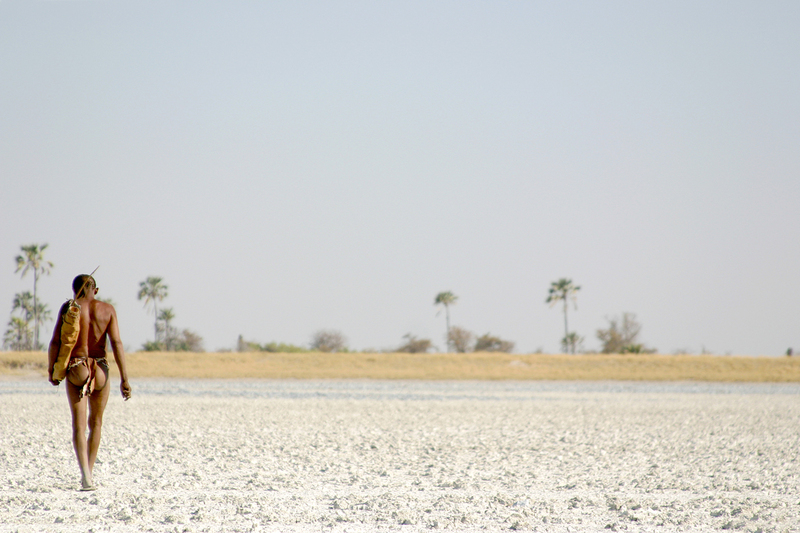 MAKGADIKGADI & OKAVANGO DELTA EXPERIENCE, COMBINED! Camp Kalahari which is adjacent to Makgadikgadi National Park, is the best way to experience Makgadikgadi and Kalahari and is home to annual zebra and wildebeest migration. Xakanaxa Camp located in Moremi which is rated as one of Africa’s finest game-viewing areas, offering sanctuary to abundant herds of elephant, sable, giraffe, tsessebe, lechwe, wildebeest, impala and waterbuck. Lion, leopard, cheetah, wild dog and hyena complete the picture. FROM ONLY USD 2 105.00 PER PERSON SHARING! Rates Include: Four nights Accommodation (two nights at each camp), all meals, activities, drinks (except premium brands), park fees, charter flights (seat in plane basis, min. 2 passengers) Maun / CK / Xak / Maun or v.v. Rates Exclude: International flights, personal travel insurance, visas, gratuities. For four days around 16th August this year, Rhino tracks were found along the road at Jessie’s Pools near Xakanaxa Camp! Guests staying at Xakanaxa Camp said they had seen it as they flew into the camp the day before. This comes as very exciting news and shows that the Rhino release efforts are bearing fruit and the animals are spreading around the Okavango Delta area. In 2001 the first four white Rhino were released into the Moremi Game Reserve with funding from Tusk Trust. A further 22 Rhino arrived as a result of a swap between South Africa and Botswana called ‘rhino-for-roan’. 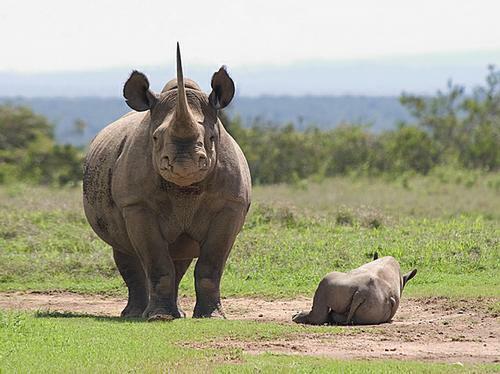 Unfortunately in 2003 the project suffered a setback when two rhino were killed by poachers. Within a week security was upgraded, the poachers were caught and three new rhino were released. Since then more than 23 calves were born in the reserve since 2001 and there have been no further losses. The Department of Wildlife and National Parks’ Anti-Poaching Unit has been providing security and monitoring the rhino on a daily basis, as well as recording GPS positions through a radio transmitter which is implanted in the horn of the animal. Currently the focus of the project is to bring in more black rhino in order to form a healthy founder population in the Okavango Delta. The team hopes that the rhino will begin reproducing and expanding their range into parts of Botswana where they have not been seen in many years! Rhino distribution is largely influenced by the availability of water, food and vegetational cover. During the rainy season they are often in areas which are difficult to reach, due to flooding. With more rhino sightings, game viewing should be very exciting in Xakanaxa!! 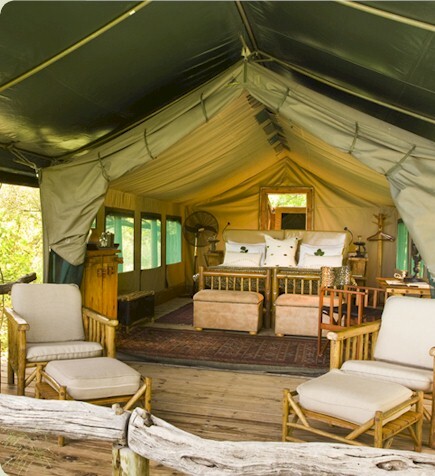 Xakanaxa Camp has special rates for SADC residents which are available upon request. Sanctuary Retreats now offers incredibly reduced rates for residents across Africa! For more details click on this link Botswana’s Exceptional Safari. Sanctuary Retreats camps are spectacularly located in some of truly unspoilt areas spread out across Africa, with the highlight this time being on the ones in the beautiful Botswana. Sanctuary Retreats has a collection of luxury safari lodges in the Okavango Delta, Chief’s Island and Chobe National Park, which are arguably the most important areas for game viewing in Botswana. The properties are perfectly located in secluded and pristine wildlife-rich areas with amazing game viewing opportunities. Each area offers a unique experience and game viewing opportunity and as such it is always advisable to combine your stay with various lodges for a comprehensive Botswana experience. One good thing to note is that Sanctuary Retreats is offering reduced rates for those who stay in Africa and would ‘love‘ to visit Botswana for an affordable trip of a lifetime (proof of residency is required). This is a good opportunity to visit their camps and make use of this special offer. JOHNNY CLEGG IS COMING TO MADIKWE!!! Madikwe Collection Portfolio: Buffalo Ridge Safari Lodge, Madikwe Hills Private Game Lodge, Motswiri Private Safari Lodge, Thakadu River Camp, The Bush House, Tuningi Safari Lodge. 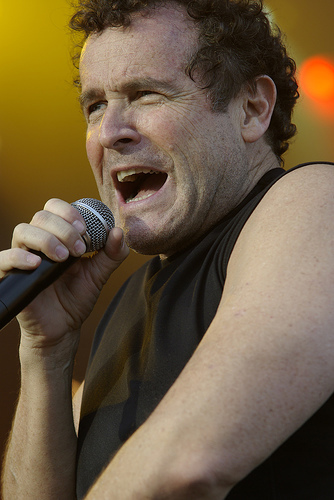 We are very excited to announce that Johnny Clegg is coming to Madikwe!!!! This extraordinary performance is going to take place on the 29th of May and the event is going to run as follows: On the evening of the 29th of May Johnny Clegg will perform in front of a small audience of Madikwe Collection guests in the Madikwe bush followed by a delicious bush dinner. The concert will be an informal talk/performance as Johnny Clegg is both a musician, anthropologist and raconteur and he incorporates songs into the story he is telling. Unfortunately children under 8 yrs will not be able to attend the performance (for safety reasons) but we promise to put something very special together for them and can offer a 50% discount if they are sharing with their parents. 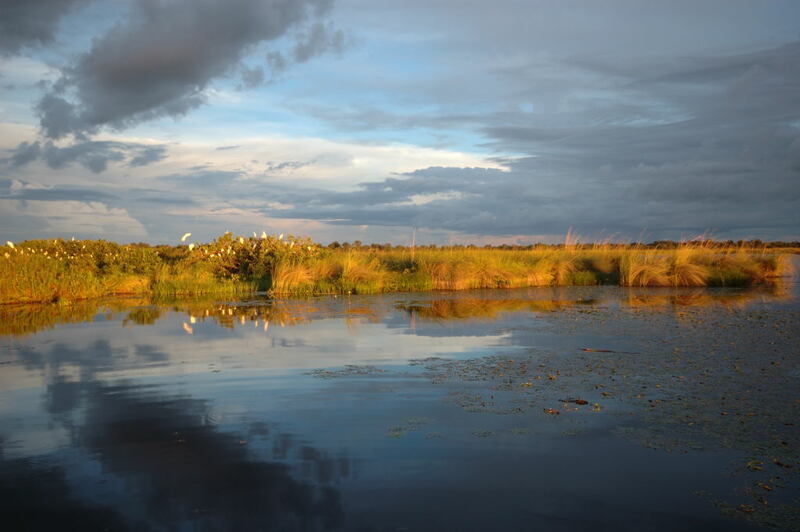 Luxury tour combining Chobe and the Okavango Delta experience in Botswana. This 5-day/4-night Chobe and Delta experience takes you to two of the best destinations in Botswana. 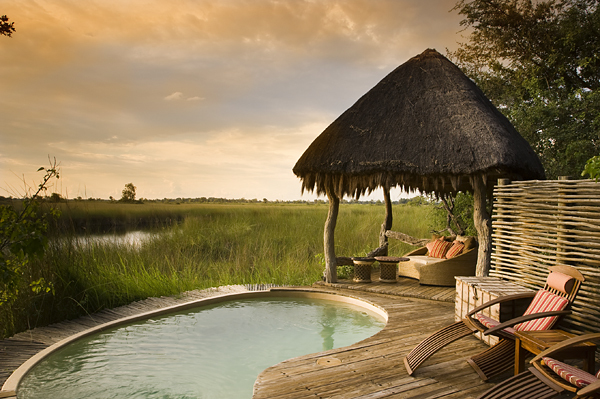 Make use of this special offer by staying at some of Botswana’s incredibly luxurious lodges. During low season (from now until 30 June 2010): Applicable on bookings made 30 days or less before travel. During high season (01 July – 31 October 2010): Applicable on bookings made 14 days or less before travel. Includes: 2 nights at Chobe Chilwero + 2 nights at Baine’s Camp, All meals, selected alcoholic and non-alcoholic beverages, scheduled game viewing activities, scheduled light aircraft transfers from Kasane / Baine’s Camp / Maun. – Chobe is probably the most visited park section, partly because of its proximity to the Victoria Falls, merely 1.5 hours drive. The package can be tailor made to include a day trip across to the Falls OR spend a night or 2 at one of the fine hotels. 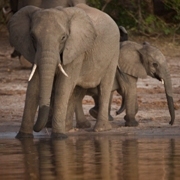 Breaking News: Elephant activity Special Offer – 15% discount for the remainder of 2010! Guests staying at Sanctuary Baines’ Camp in the Okavango Delta have the opportunity to book this very special learning adventure at a discounted rate. We recommend pre–booking. – We also book both local and international flights. Quote available upon request.